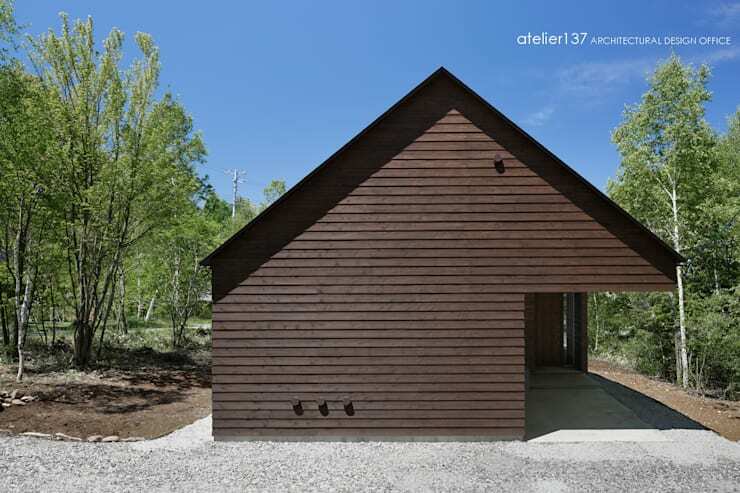 Wooden cabins typically conjure up images of chunky architectural lines and a distinctive aesthetic that is both simple and raw. These terms could easily be applied to the wooden cabin home we'll explore today. 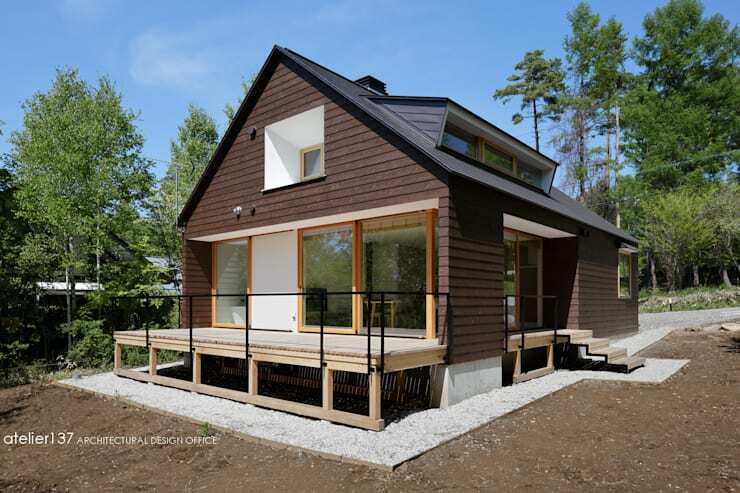 The basic layout of the wooden home is quite straightforward, but what distinguishes the design is the unusual shape of the bold window designs. 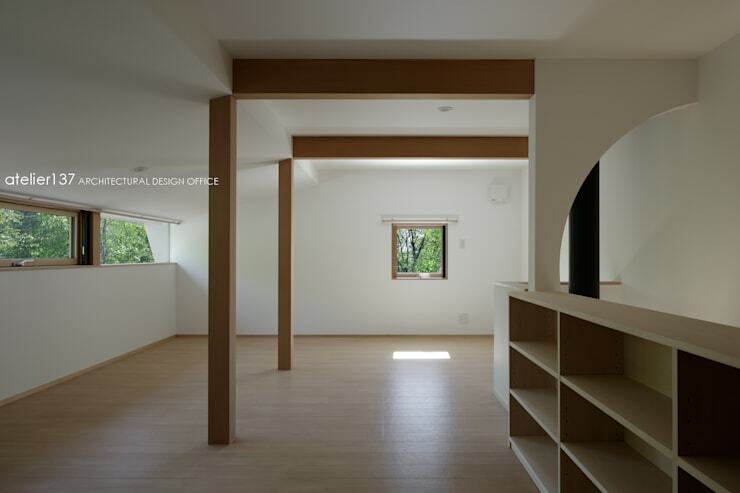 The square window on the upper level of the peaked roof is very deeply set and this, together with the white walls, gives it a hefty, chunky look. The side panel windows are also set within a volume that seems to pop out of the roof. The front facade has an extremely bold, minimalist aesthetic. It might have run the danger of looking a little harsh or unfriendly if it weren't for the soothing effect of natural timber. One of the most striking elements here has to be the right opening that appears to rise weightlessly above the ground. In the dining room, we have a very peaceful, natural aesthetic. 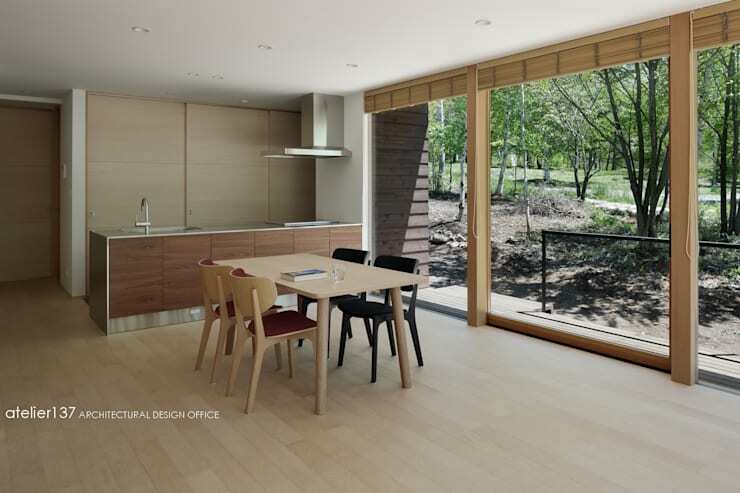 The large sliding glass doors are made from wood and designed in a minimalist style. 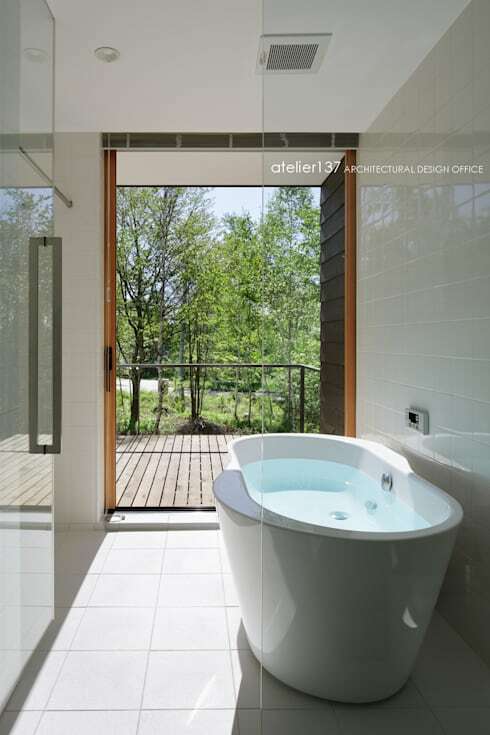 This has the effect of making the green surroundings almost feel like a part of the home. In this living area, we can definitely see how a good natural view can take the place of decorative features inside a home. This home was built for a couple who wanted to keep things simple. So the architects designed the dark wooden kitchen as a single line with a modest amount of storage. The impressive aspect of this kitchen or kitchenette, is the way it seamlessly blends into the decor in the rest of the home—both inside and outside. 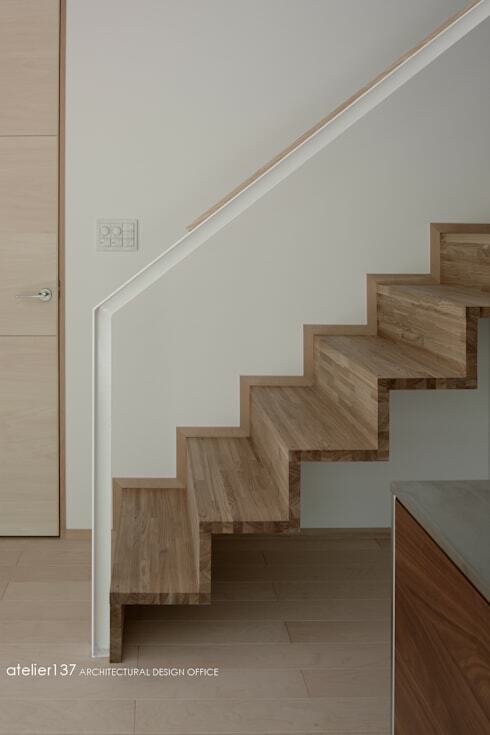 In keeping with the minimalist aesthetic, the wooden staircase has been designed without a base structure. Check out the railing. It is formed from a simple white line on the wall with a fine wooden trim. This is definitely a bathroom in which to relax and enjoy some me time. The free standing bath is placed perfectly near the window so the occupants have a lovely place in which to rest their eyes while soaking. If this home has you dreaming of a natural retreat, have a look at 10 dreamy and elegant homes built on a hillside. Which aspect of this home appeals?